Gilded letters shine from atop the building. The building’s owner, Deborah Bigelow, gilded them herself by hand, gold leaf by gold leaf. Deborah has produced and conserved gilded works of art for museums and private collectors, artists and architects across the United States, Canada and Japan since 1982, as well as the Salon Doré for the Fine Arts Museums of San Francisco. Her website gildedtwig.com tells that story. 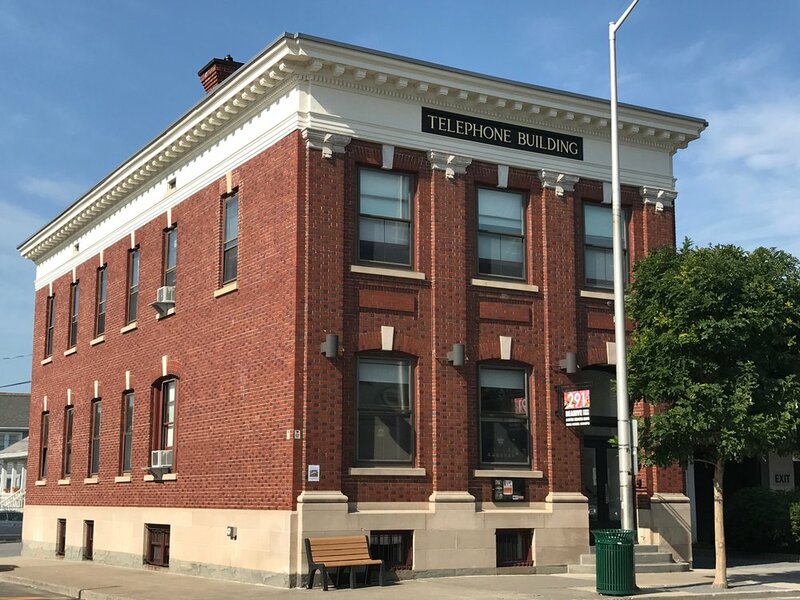 Built in 1907, the Telephone Building served as the switching station for the Hudson River Telephone Company, providing telephone service to the twin villages of Fishkill Landing and Matteawan (now Beacon). You can learn more about how that telephone service worked in an article on A Little Beacon Blog here. 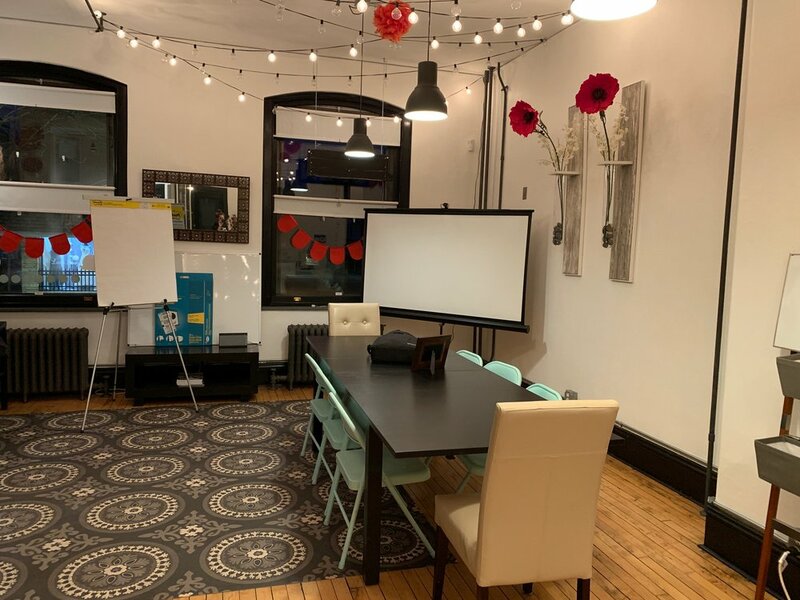 Office space in this building is versatile, and has been used for private companies, shared office space, pop-up shops, photo shots, film screenings, business retreats, and more. The rooms vary in size and are bathed in natural light. Parking on the street in the area during the week is easy, and the building has its own parking lot that fits 8 cars. During the evenings, the building is lit with exterior accent lighting that illuminates the top and bottom of the restored brick facade. The Telephone Building is a pillar and defining building in Beacon. FUN FACT: The movie Super Troopers was filmed in the Telephone Building. The entire first floor was used as the police headquarters and jail cells. 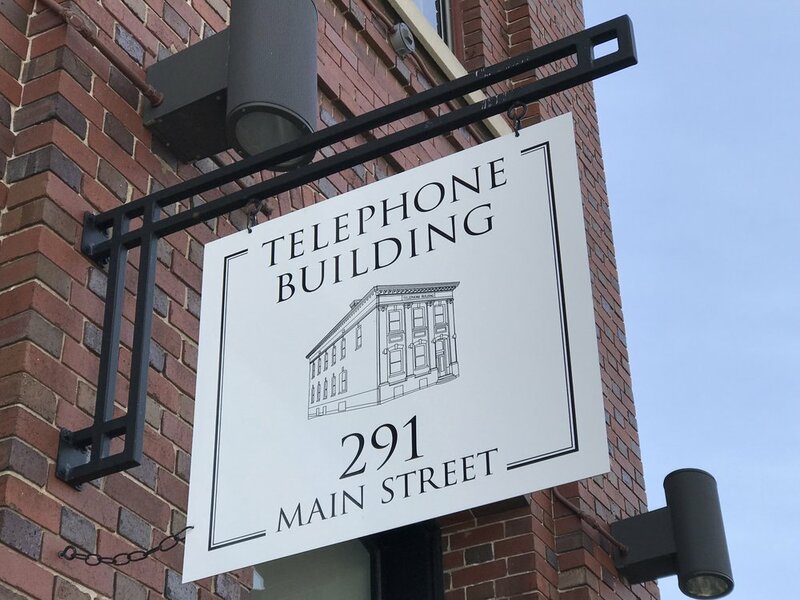 The art director needed a very run down look, and at the time, the Telephone Building was still undergoing Deborah’s renovation. Wall paint in a room in the basement had peeled so badly, that it was perfect for one of their scenes. Not any more! Beautiful building. Simply stunning. People stare and take pictures at it while walking by. The blond hardwood floors on the first floor. The basement is one of the nicest basements in Beacon. It’s hardly a basement. The boiler room which is like a vault! The door is made from a heavy wood covered in metal sheathing. It was designed to be a fire barrier in 1907. For people who tinker with tools, this workshop room is a toy chest. Parking lot for up to 8 cars. Contact the building owner herself, Deborah Bigelow, via email. Deborah is representing her building directly. Numbers: Visit the building website telephonebuildingbeacon.com and click on Numbers to see property information, including Taxes, Construction Information, and more. PS: This publication, A Little Beacon Blog, occupies the front office of the Telephone Building as our headquarters. We call it A Little Beacon Space, and have written Deborah a send-off article / love note about her selling the building. You can read it here.